The Senior Group was initially established in 2001 at the request of Eleanore Wiedmeyer, who at the time was 86 years old. The Group meets primarily to socialize, play games (mostly cards) and receive health information (including blood pressure screening). Christmas is celebrated with a party and special dinner. Cards are sent to Seniors for birthdays, illnesses, and sympathy. 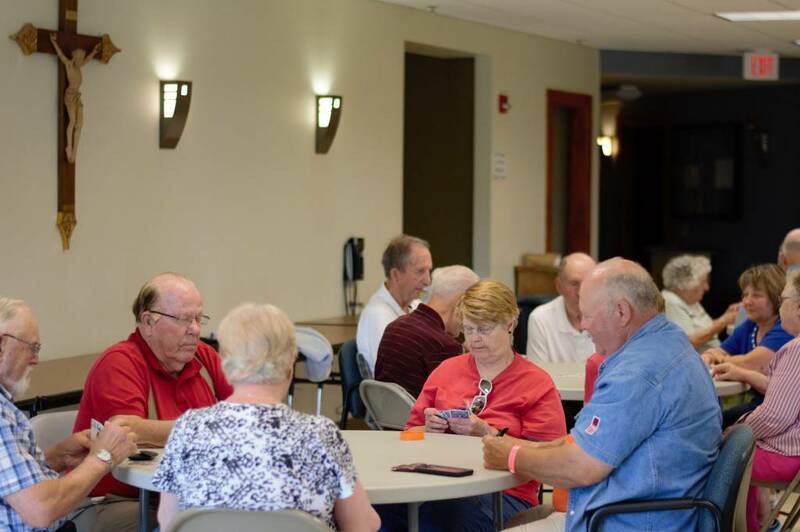 The seniors meet on the 2nd and 4th Wednesdays (contact: Pat Stoiber at 628-2833) and the 1st & 3rd Thursdays (contact Dolores Crowell at 628-4043) of each month. They play from 11:00am until 3:00pm in Hanel Hall, with a break for lunch. This group serves as an outreach for Seniors from our parish as well as the surrounding parishes. It is free to participate and all are welcome!